It’s officially Spring and our Plant Sale is just around the corner on April 7 and 8! You can choose from more than 600 varieties of native and adapted plants. If you’re planning a butterfly garden, then you need host plants. These are plants that feed caterpillars. We sell hundreds of host plants during each plant sale. Different butterflies have different host plants. 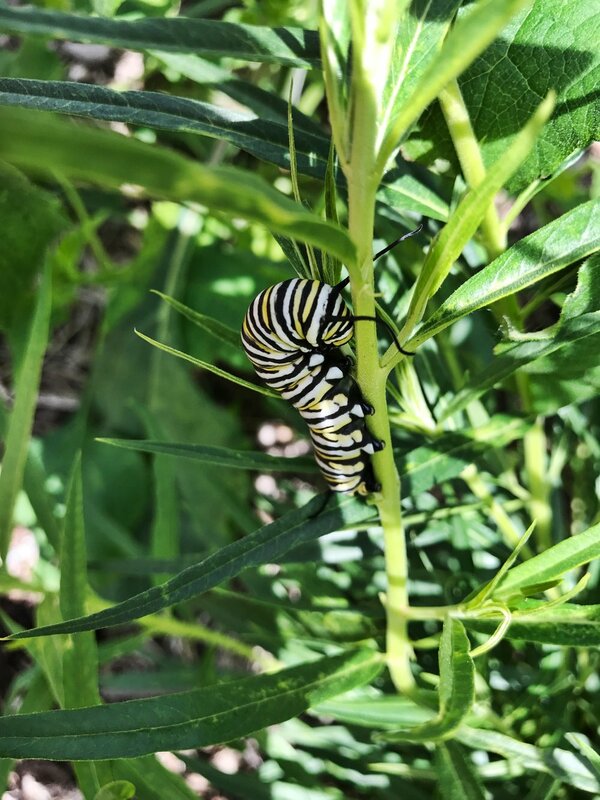 In the Spring, Monarchs traveling northward lay their eggs on milkweed. You can find about eight different varieties at our Plant Sale. We offer about 10 varieties of passion vine. In the fall passionvines are covered in Gulf Fritillary caterpillars. Some such as Passiflora incarnata or maypop passion vine produce edible fruit! Pipevine swallowtail caterpillars feed on pipevine. We've seen pipevine get eaten right down to the ground and grow back a few weeks later. Want to know more about butterfly host plants? Check out this page on butterfly gardening. To see what plants we'll have available, browse our Plant Sale List to compile your Plant Sale Wish List!